Nursing school is no joke. Pathophysiology, pharmacology, statistics, labs, research, clinicals—and that’s just the first semester! Is there anything you don’t learn? Well, yes. Read on and I’ll tell you about 3 things you don’t learn in nursing school. I’ll never forget my very first shift as a nurse in the hospital. I proudly showed up in my freshly ironed, baby blue scrubs and shiny new Dansko clogs ready to take on the world. I left, 13 hours later, feeling deflated after having barely gotten medications passed out for my one (yes, one) patient. Yikes. What had I gotten myself into? As I gained more experience, and my skill set grew, so did my ability to think critically, and work more efficiently. Critical thinking, in a nutshell, means that you are able to see the “bigger picture” instead of focusing solely on getting through your tasks (that may seem endless). Don’t worry if, at first, you’re doing a happy dance because you checked off all the little boxes on your ‘to do’ list. It takes time, but soon you’ll be able to quickly and confidently identify problems and come up with creative solutions that are best for your patients. I had only been a nurse for a few months when I was assigned to take care of a young man, Tom, who had suffered from a traumatic brain injury. Each time I worked, he was my patient. I came to know him, and his family, very intimately. Slowly but surely, he got better and was able to go to a rehabilitation center. About a year after Tom was discharged, he and his wife, along with their toddler boy, came back to visit everyone who had taken care of him. I felt an enormous sense of pride to be a part of the amazing group of nurses, doctors and therapists that saw him through the most difficult time of his life. I knew, without a doubt, that I was doing what I was meant to do. No amount of classroom time will prepare you for how awesome it feels to be a part of your patients’ lives, to make sure they are getting the best care, to be their advocate, to rejoice with them when the news is good, and to cry with them when it’s not. Taking care of people is rewarding, but it can also be really hard. When nurses become physically, mentally and emotionally exhausted from their work, this is known as “burnout.” After about ten years working 12-hour night shifts in the intensive care unit, I definitely got burned out. Looking back (hindsight’s always 20/20), I should have taken better care of myself. While burnout is common, it can be avoided. Taking breaks at work, exercising, eating right, and getting involved in hobbies outside of work can really help. Read more on self-care strategies that can help you be a better nurse and a better you. You’re ready (even if you don’t know it)! Whether you’re in nursing school now, or you’re sporting shiny new Danskos at your new job, take comfort in knowing that even though nursing school doesn’t teach you everything, it does teach you an awful lot. What you don’t know, you’ll certainly learn along the way. 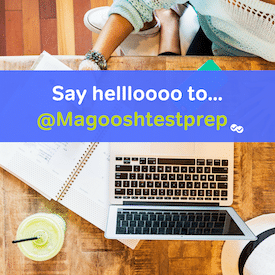 Crystal is happy to write about all things nursing and the NCLEX exam for Magoosh. She is a Registered Nurse and Nurse Practitioner with experience in many areas of nursing including clinical practice, administration, advocacy and teaching. She has worked with students for over 13 years and loves to help nurses succeed. In her free time, Crystal can be found building “bouncy couch castles” with her 2 toddler sons, camping (errr, glamping), reading and attempting to do DIY projects she finds on Pinterest.